2+1 Bdrm, 2 Storey Contemporary Urban Townhome Provides Sun Filled Rms & An Inviting Flow. The Lrg Open Concept Main Flr & Generous Sized Kitchen Allows For Easy Entertaining & 2 Large Bedrooms Won't Leave You Wanting For Space. Bring The Outdoors In With Walkout To A Large Private Terrace. Low Fees, Large Living Areas & Stylish Design Combine To Create An Uncompromised Living Space. 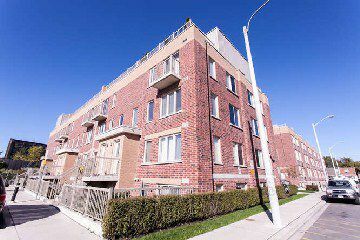 Easy Access To Transit/Subway, West Toronto Rail Path, Shops & Restaurants.